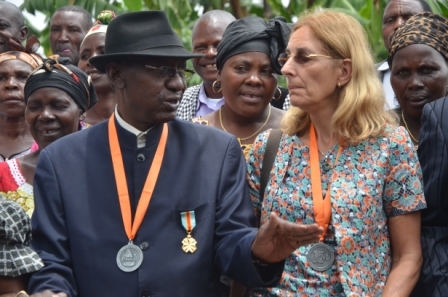 His majesty MWAMI KABARE RUGEMANINZI N’ABUSHI has been much implicated in the conservation of nature; his engagement in the activities of preservation of the nature has been noticed by the Managing Director of the Congolese Institute of Conservation of the Nature. 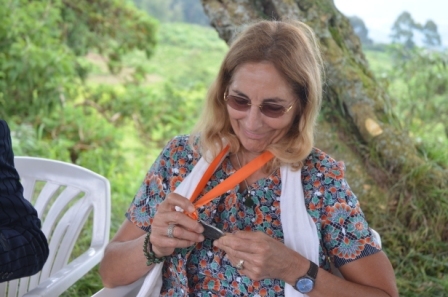 To acknowledge his efforts he has been named to benefit with the ecological medal‘s merit. 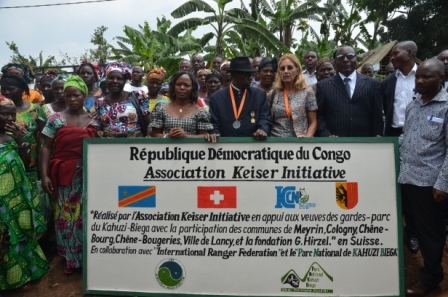 It’s happened on the official delivery of mills and goats to widows of écogardes by the KEISER SUISSE ASSOCIATION. This delivery of mills and goats intervened on 20th of this year, we were honored to receive his Excellence Madam Adolphine Byayuwa the provincial Minister of Environment, Majesty Mwami Kabare, Madam Gislaine Keiser founder of the association keiser initiative for Uganda and Mr Pascal Matondo the coordinator of keiser in Uganda. Mister Jean Pierre Jobogo representing IRF (international Rangers’ Federation) in RDC who put this association in touch with the KBNP has also heightened of his presence. Widow’s life the ecoguards, have been hectic since the death of their brave husbands. Managing daily living has been so hard, covering basic need like food, schooling of children and daily expenses has been has serious problem. While Kahuzi Biega National Park was wondering how to support these families, a funder come and blessed these widows with little stuff to help up lift their daily living. We are so open to whoever feels that he can also contribute and donate to other project of KBNP. We are so grateful to all partners of the park. 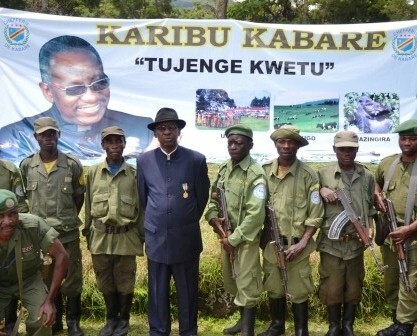 This entry was posted in The Chieftainship Of Kabare Makes A Commitment In The Protection Of The Park. Bookmark the permalink.